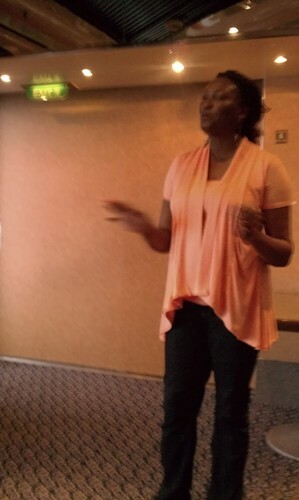 This is a Blog Series on the Women of Destiny Conference, Cruise to the Bahamas, which will be continuing through this week. God has a great destiny for you. Are you ready for it? Will you walk in it? I had no clue that God was going to send me to the Bahamas for His purposes, but He did. I had to be ready to go when He called me. Preparation for your destiny is vital. It will give you the faith, the strength, and the courage you need when the battle begins heating up. In yesterday’s post, I shared about the enemy resisting your great destiny. But God had said I was going to the Bahamas. Do you know that with God on your side, you are unstoppable with faith in Christ? Distractions prior to the trip, attacks against me and my family, and a cancelled plane flight weren’t going to stop what God had already said. God always has the last word! God also has a sense of humor. As Tony said when she spoke at the conference, “God has jokes.” Haha, so true! I don’t deal well with heat. I freeze my family in our home, cranking up the a-c in the summer. In winter, I keep the heat turned down low. Throughout the year, they stay covered in blankets, shivering. When I went outside the Miami airport, it was about 90 degrees, humid and sticky. Perspiration dripped from my forehead and neck. Only God could get me to go somewhere hot – ON PURPOSE. 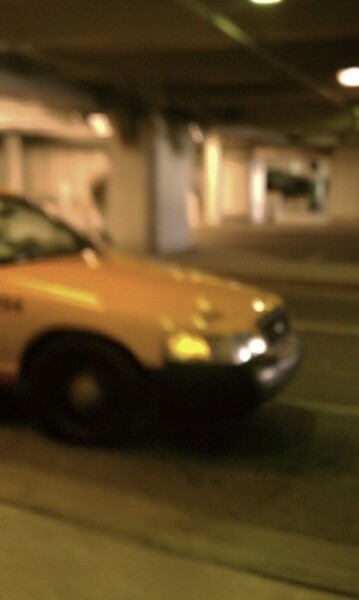 Miami was a blur as my taxi cab driver sped to the port, weaving in and out of cars. The taxi to the port was about $27, just FYI. 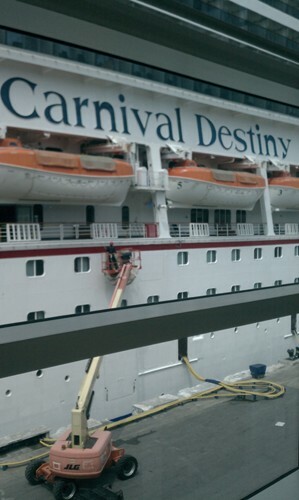 As soon as the taxi cab driver pulled up to the curb at the port, the Carnival Destiny staff person was waiting there. He greeted me in such a friendly way and offered to take my bags. The taxis sped by, hard to get a pic! You can give the staff all of your bags at the curb if you want to, and they bring them to your cabin, but I just gave him one luggage piece. It’s expected to tip at least $1 USD for this help. I was surprised how quickly the staff gets your luggage to your cabin. The staff is AMAZING! The required gratuity for the staff is $11.50 per day, which is divided among all the staff. When you see how they wait on you hand and foot, you will be shocked that the gratuity is so low. As Tony told me, you’ll want to take them home with you! For an entire week, I didn’t have to cook, clean, or make my bed! I felt so spoiled! What a relief that I’d gotten to the ship in time! You have to show your passport as soon as you enter the building, and go through security again. 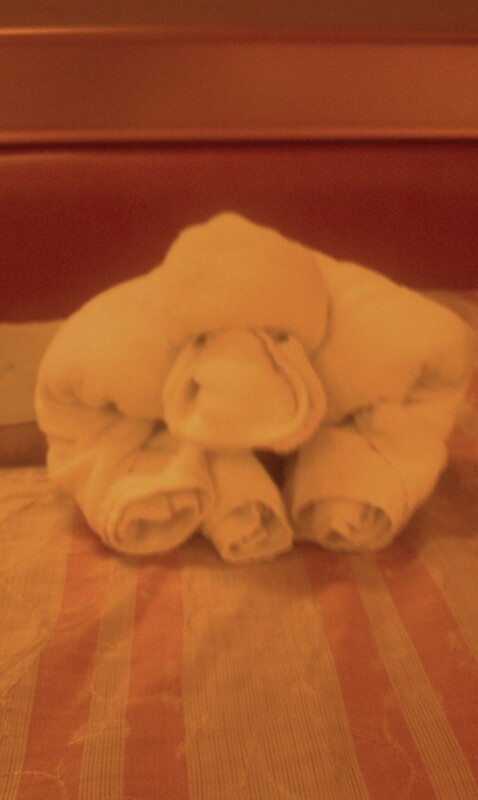 From the moment I stepped into Carnival Destiny’s building, I was so blessed by how friendly the staff were. You show your passport and boarding documents, and then you are given a “Sign and Sail” card, which as Tony warned me beforehand is your “lifeline.” Do NOT lose this! It has your name and all your important info, and is your key into your cabin room. The ship doesn’t carry any cash, so it works like your bank’s credit-debit card. You also don’t leave it on the ship in your cabin after the trip because the magnetic strip holds all your credit card info and you don’t want to be a victim of identity theft. You can get a lanyard in different colors (I chose purple!) 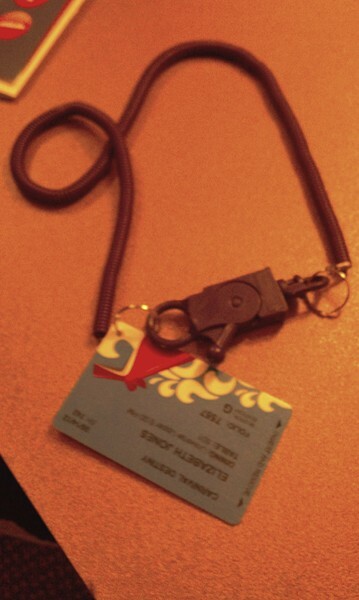 and have the card punched at the casino, so you can wear the card around your neck without worrying about losing it. I was so happy about the lanyard, as I have a tendency to lose my keys, phone, and debit card a lot and then freak out, asking my family to pray that I find it. This is a REGULAR occurrence at my house. The bar is right there when you enter, so it’s a happening place. Throughout the cruise, you will see people drinking everywhere, so just be prepared. I saw some drama on the swimming pool deck the night before we left: a woman was kissing on one woman’s husband in the jacuzzi, and a chic fight broke out. You can bet the woman was letting her husband have it. (They were all drunk.) Other female passengers on the ship who had seen it all were letting the man have it, too, and cheering on the wife. I asked a staff person nearby where I go to get to my cabin, and found my way to the elevator. 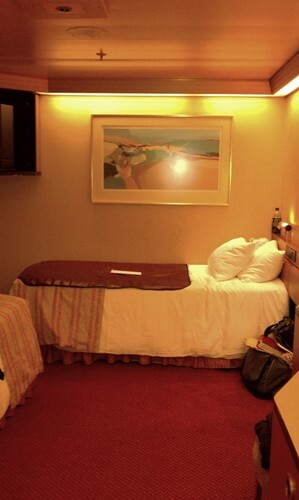 Mine and Tony’s room that we shared throughout the cruise was an interior cabin (no window) and on the second deck ( a lower deck). It was small, but not as small as I’d expected from a friend who told me the rooms are “really tiny.” The cabins are nice! My bed is on the left in this pic. 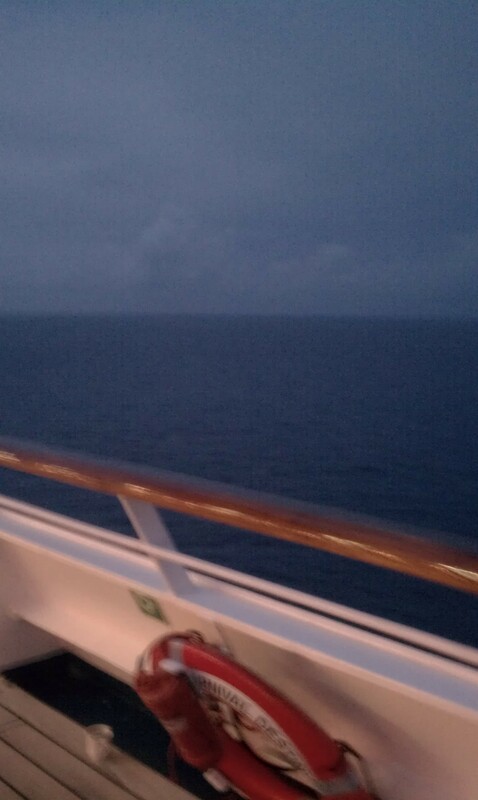 I slept wonderfully the entire cruise, thank God! As soon as I set down my luggage, Tony came through the door, and just hugged me, laughing with joy that I’d gotten there! My first thought was, “Tony is so TALL!” She’s almost 6 feet tall. Her worship leader LaToya Gay – who I am friends with on Facebook – was just as surprised to see how short I am. I’m only 5’1″ tall! Tony and I were so happy to finally meet in person. We’d been friends on Facebook for a few months. It was so awesome meeting Facebook friends in real life! If you aren’t using Facebook to make new friends and network, now is the time! I believe Tony and I will be friends for life. She’s an amazing, beautiful, anointed woman of God. After I got settled in, then I went to explore the ship. Tony showed me the meeting room where I’d speak at the conference the next morning (Tuesday). The meeting room was PERFECT. It had a huge window view of the ocean, which fit right along with what I’d share about from Psalm 42:7 (“Deep calls to deep at the noise of Your waterfalls, all Your waves and billows are gone over me”), Genesis 1:1-2 (“In the beginning God created the heavens and the earth. Now the earth was formless and empty, darkness was over the surface of the deep, and the Spirit of God was hovering over the waters.”), and women’s great destiny. Is there something that you need to ask God for today? God desires to bless His people who love and obey Him! After we filled the bags and took them to the meeting room, then we got dressed for dinner in the formal dining room. Cruises are known for their food. All the meals you can eat are included in the fare. Some of the best food I had on the ship was lobster and lasagne (not the same night!). 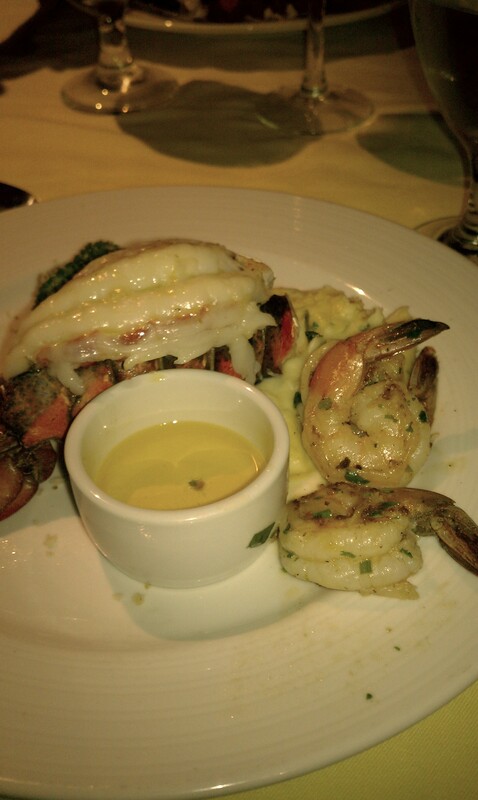 Lobster and shrimp dinner on cruise ship - YUM! You can have as much food as you want. If you want all the appetizers, two main courses, or three desserts, you can have them! You likely won’t lose weight on a cruise! 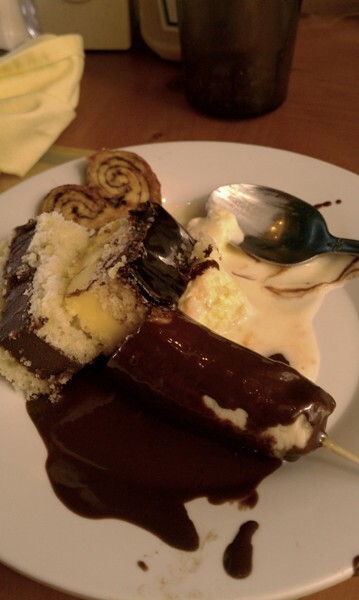 Here’s a pic of desserts I sampled one night on a dessert splurge – the banana was dipped in the chocolate fountain. YUM! Passenger’s extra costs are for sodas, alcohol, gifts from the shops, (it’s more like a nice mall! ), and any other extras like Tylenol, suntan lotion, etc. This is where they “get” people…it all adds up, using that little Sign and Sail card! When the cruise is over, there’s a line of irate people, who are objecting to their very large bill from all the drinks they didn’t realize they’d ordered! The ship had 10 decks. 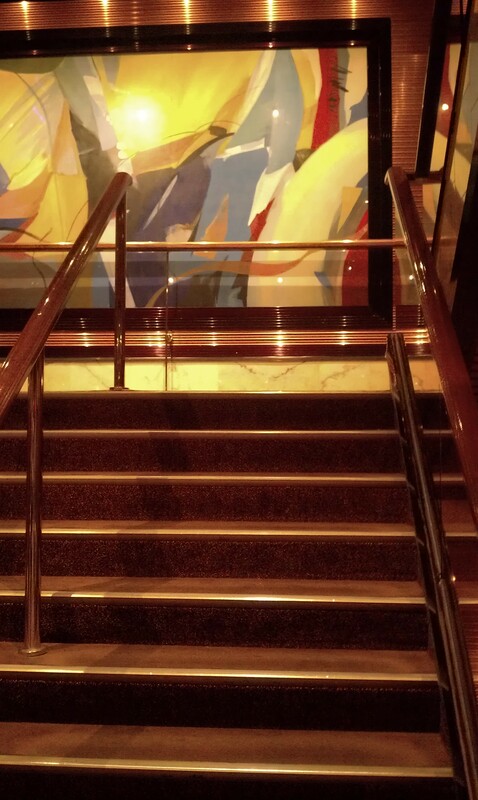 You can access the decks through stairs like the one below, or go on the elevators. The ship is beautifully decorated. 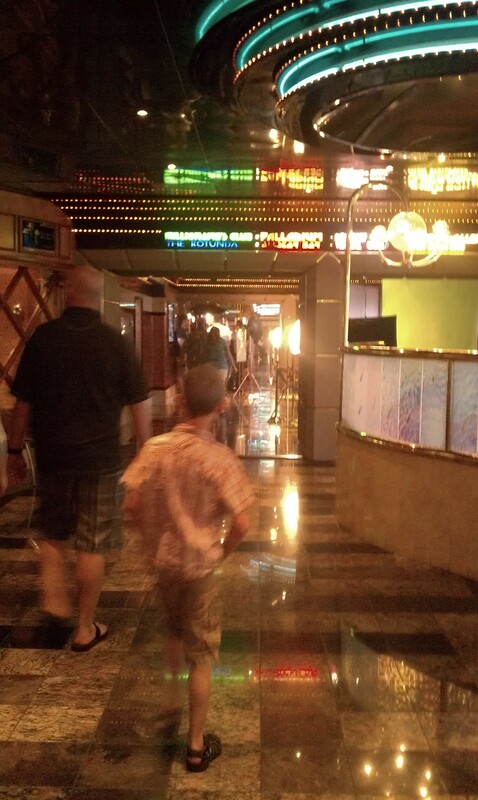 Here is one of the halls on the 5th deck, the main deck where there are meeting rooms, stores, the casino, the dance floor, the show rooms, etc. 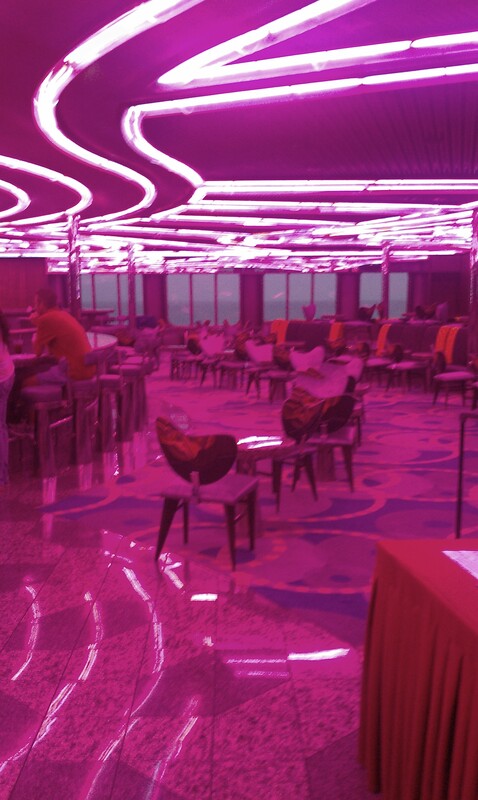 One of the prettiest rooms on the ship was the “purple” room, where they had dancing at night. Tony Robinson, I, Tony’s conference M.C. Angela Hardy, and Tony’s worship leader LaToya Gay danced a few dances one night there. It was so fun! The staff provides activities for kids on the cruise, and one night the kids did the wedding “cha-cha” dance. You can view a short video clip of it by clicking here. There’s a lot to do on the ship while at sea (mostly eat too much! But amazingly, I didn’t gain ANY weight on this cruise – probably the walking and swimming I did. I also tried to eat healthy, although I ate a LOT!). You can attend shows at night, dance to the live bands like this cute elderly couple, shop in the stores, swim in the pool, relax in the jacuzzi, or sit on one of the decks and just praise God for the glorious view of the ocean. It is so relaxing. Tomorrow I’ll continue this blog series, sharing more pics and videos with you of my trip to the Bahamas. Meanwhile, enjoy videos of my trip my Facebook page or on my YouTube channel. Be sure to mark your favorites and leave your comments to let me know what you think!